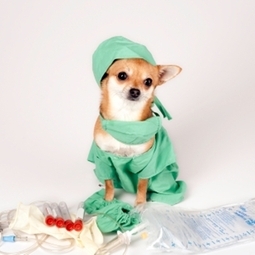 When your pet is ready to go home, our technicians will review your postoperative care and medication instructions. If any questions arise after your pet returns home or at any other time during the postoperative period, call us. We welcome your questions and will do all we can to help your pet recover fully. Help is only a phone call away. Surgery can be a source of anxiety and stress for many pet owners. Maybe you worry about whether your pet will be well cared for, or perhaps you have concerns about adequate precautions and monitoring. Let us address your concerns. Whether your pet needs minor surgery or a complex procedure, call us. Let's discuss how our surgical services can benefit your pet. Click the link below to learn more about your pet's surgery day. WHAT DO I NEED TO KNOW ABOUT MY PET'S UPCOMING SURGERY/ANESTHESIA APPOINTMENT AT CLEARVIEW ANIMAL HOSPITAL?